Eventhough i have written “providers”, i’ll be writing only for those located in Turkey. I learned that the problem they are talking about, is not a hardware problem, in fact, not a real problem. This is just to make people quickly change their digital receivers with the newer ones. Why do they want to change these boxes? In fact, this change doesn’t really prevent that usage. It is obvious that, this provider wants their customers to buy more than one premium package instead of switching economy package with premium package according to where they watch their TV; people will get bored switching the entire device from room to room and they will buy another premium package. That may be a marketing strategy, to push the limits of the profit. I can not comment on that but i can comment on “there is problem in your digital receiver and you have to get it replaced as soon as possible!”, Oh my! It’s going to blow! I have to replace it as soon as possible! Ok, name it yourself. How do you call it? There is a real problem with the new boxes, in fact, not directly with the boxes but with the procedure they follow while changing these devices. When you bring your old receiver to local provider store to get it replaced, they will request the SCART cable. In fact this is not a request, you must bring your scart cable or you have to purchase a new scart cable and give it to them. They will give you a brand new (bad quality) HDMI cable. Yes! HDMI is superior than SCART cable! Right! NO! Even you purchase HD broadcasts, most of the stations may be broadcasting in SD not HD. 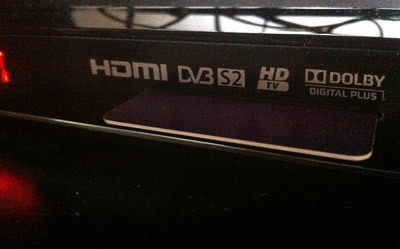 (HD broadcasts are generally widescreen as there is a standard for it). When you use HDMI cable, your TV will loose it’s ability to automatically change it’s aspect ratio according to the broadcast. If you think it’s not, you are probably wrong. TV manufacturers will not be inventing new features to prevent this problem, because standard is not going to be SD in future. So you are tied to watch people in the broadcast with large faces, huge heads and legs, as your TV will stretch it. Digital box has a feature in its menu to configure aspect ratio and it still does not help you, because it’s a static change and you continuously have to change it according to the station or the broadcast you are watching. It’s ability is also limited when compared with the similar feature located in the TV itself. 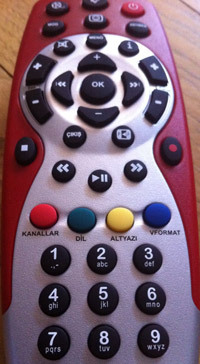 The only acceptable situation would be a aspect ratio button put on the digital receiver’s remote. But there is not! There is a quality button to switch between 720p, 1080i and 576. Why?! I would never touch that button; i never need it. No one really need it. There has to be an aspect ratio button on that remote instead of hdmi resolution button. You need your old SCART cable to make it work again. When you connect your receiver to your TV with SCART cable, aspect ratio conversion, detection, correction,.. features of your TV will automatically start working again! BUT NO! They have taken your SCART cable, since in future you may pay for the HD package to watch %5 of the station catalog in HD. This is the one way thinking of digital broadcast providers. This is not for the sake of helping people move forward to push the limits of the quality standards. This is just “I did, and it happened”. These providers have many responsibilities of that country’s future technology and standards. These includes the perception of the visual image broadcasted into the house of the citizens. It shouldn’t have forced to watch the image stretched, cut from up and down-seeing noses of the actors not eyes of them- to earn more money to make more profit over the customers. You can not exchange the future with the money while have the responsibility. Whenever there are no or small competition or lack of knowledge in any area in a country, people will be exploited more and more. – A better explanation for the box change. – Letting customers keep their existing SCART cable, while giving them an HDMI cable. I wrote this post to track the changes in future. To see how long it will take them to make these changes or find better solutions or just to see them thinking about their responsibility. My suggestion: You should end your subscription with that service right away. My opinion: You don’t want to. My Conclusion: You shouldn’t write this blog post if you are still using that provider. It doesn’t make any sense to me.